Toe-curlingly good (and bad!) kisses, boys next door, spots on date night, first love, unlove, passion, heartbreak... and other unnatural disasters. A collection of romantic short stories from some of today s bestselling women s and teen fiction writers. Ever fallen in love? Ever fallen out of love? Ever fallen in love with someone you shouldn t have...? Nine authors write about first kisses, love, heartbreak and everything in between in this short story anthology. A unique collection combining the work of bestselling women's fiction writers and children's authors. It seems I may be a ‘short story’ convert. I have read more short story collections in the last two years than I have in my entire life. This particular collection caught my eye because of the authors included, even though it’s a collection for teenagers there are a number of adult writers included. (See complete list of authors above) I must admit that because most of my reading is work related if I ever pick up an adult book to read, it’s usually a light chic lit novel, that I can get through quickly, so when I saw names such as Adele Parks and Monica McInerney I was curious as to what they would bring to the world of YA fiction. 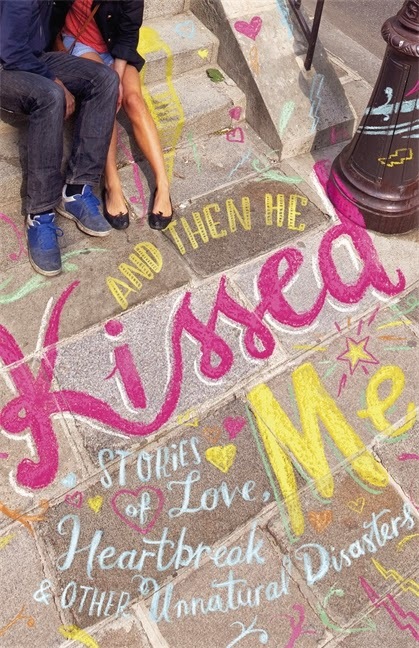 I think the title of this book says it all, from holiday romance kissing, to lunchtime kisses in the library and kisses with the wrong boy to kisses with the right one, this book is all about kissing! The stories in this book showcase both the highs and the lows of first crushes, first love and first kisses. Even though some of the authors usually write for adults, and the book is about kissing, this book isn’t that graphic, apart from the kissing there’s a mention of roaming hands, but nothing more than that. I wouldn’t be recommending it for a primary school library, but young teenage girls will love it.